“Let the jury consider the verdict” the King said. “No, No” said the Queen: “sentence first, verdict afterwards”. “Stuff and nonsense” said Alice. Picture taken at Salisbury train station and released by the Metropolitan Police shows Alexander Petrov (R) and Ruslan Boshirov, suspects in the nerve agent attack on former Russian spy Sergei Skripal and his daughter Yulia. Did Skripal arrange all that to denigrate the GRU and to present them as the “hapless amateurs”, AS HIS REVENGE?! Hypothetically, it is also possible that Skripal had organized this “plot”, including his “poisoning”, himself, in order to gain publicity, to get his share of the royalties from the book “The Skripal File”, and to exact the revenge on his former colleagues who jailed him. It is also possible that he introduced, skillfully, the implied allegation about the possible connections between the Ukrainian Intelligence, that he apparently was very close with, the Donbass separatists, the GRU (or more exactly, the Yanukovych) affiliated units, such as “Wagner Group”, and the “New Abwehr”, in order to demonstrate the GRU’s “incompetence”. Skripal has very big ego, extraordinary skills, experience, and connections, and he is perfectly capable of pulling this off. Me zinkz, humbly, that this line of thought should be investigated further, and very thoroughly. The “Operation Trump”, with its “demonstrative operational sloppiness”, so to speak, might also be a part of the “Skripal Revenge” phenomenon, with the similar aims: to sarcastically denigrate the GRU as the “hopeless and hapless amateurs” they became after “His Majesty” Skripal was separated from the agency; with the larger and more practical goal of manipulating the Trump Presidency into supporting “Yanukovich for Ukraine” via Manafort – Deripaska (- Mogilevich – Putin). 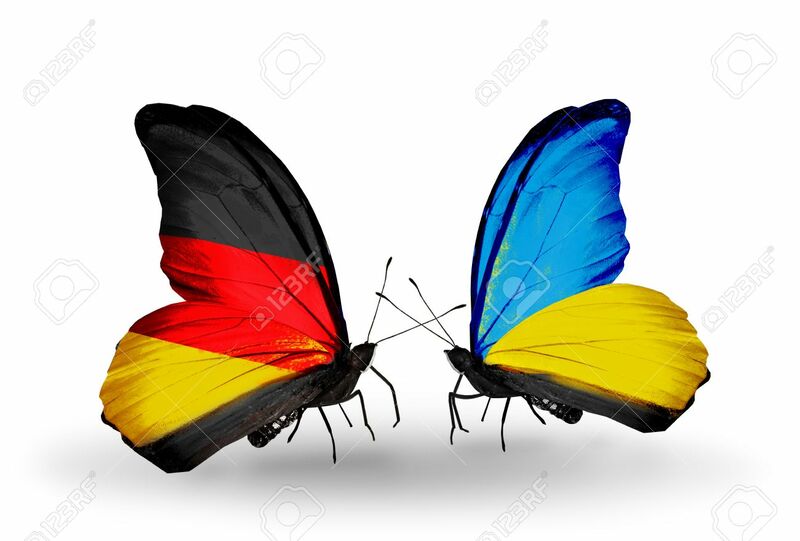 And with even broader and the most ultimate, truly “New Abwehrian” in scope and breadth, goal of solidifying the gain of Ukraine into the German sphere of influence and limiting it to the others, including both Russia and the U.S. (See the German Hypothesis of “Trump – Russia Affair“.) This gain includes very much the relative realignment and reintegration of their respective Intelligence Services, of course. And since Skripal most likely, was the “New Abwehr’s” agent from the beginning, under the multiple covers; this whole “affair”, or the series of affairs related to Skripal starting from his release in 2010, is just the “Skripal chapter” in their book, where everything is planned and staged for years ahead. Do they, the New Abwehr, plan to behead the Russian Military Intelligence in the same way they beheaded the US intelligence (Gen. Petreus) and some others, years ago? Do they try to correct the strategic “mistakes of the past”, do they try now to finish off America first, and Russia second; and invisibly, this time? Also, Skripal’s deep knowledge and deep connections with the Russian organised crime which became the global one, might help to explain the prominence of this factor and component which is evident in the recent operations. Skripal is an Ukrainian Jew, a “Khazarin” type. New Abwehr, traditionally Judeophobic, intends to teach GRU the lesson: Do not hire Jews, they will betray you. This is a self-serving, self-benefiting lesson to a competitor, opponent, and the potential enemy. Jews were always the valuable component in any Intelligence, including very much the Abwehr, who had no scruples whatsoever using the Jews as their agents and staffers. The upper echelons of Abwehr were, most likely, heavily Jewish, and therefore often anti-Hitler. The New, just like the Old Abwehr, wants to deprive the others of these talents thus saving them for themselves, just as they always did, starting with the Dreyfus Affair. It looks like the Demiurge is playing with Skripal: he lifts him up and throws him down on the rocks, and does it again and again, till he extracts the crab-meat with his beak, to his full satisfaction. That what he paid for, as he usually does, in his Faustian bargains. And he always gets more than he bargained for; on both ends of the stick, the good old Jewish way. The questions about the nature and the true origins of the medical illnesses in both the Salisbury and the Amesbury Novichok cases could and should be raised and addressed. To this day, as I understand it, and if I understand it correctly, the nerve agent poisoning is the suspected but not the definitive diagnosis in all the reported cases, and no tests confirmed specifically that it is the so called “Novichok”. The lab said that they cannot determine it. The medical records should be examined very carefully and they could provide the clues. These illnesses might be very different phenomena. In the intelligence operations and the criminal acts the medical aspects can always be the subject to manipulations, due to their great uncertainty, and in the case of the novel illnesses and the secret nerve poisons, especially so. UK police say unclear if latest Novichok poisoning linked to attack on Skripals. The detectives, meanwhile, said that they are not able to resolve the case at this point. Too many mysteries. The claims that we know do not mean that we know. “Skripal” means “skripet”, not “skreplyat”. He is not a Paperclip, not even the “skrepka”. He is the “skripka”, the fiddle. He produces the tune but someone else plays him. And these are not the Western Intelligence Services. This is the Grandmother of them all, under their guises, the secretive and invisible New Abwehr, me zinkz. 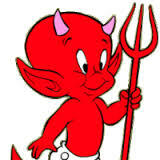 To use Skripal as a “paperclip” or the “anti-paperclip”, “anti-skrepka”, is not wise, it seems to me. You won’t get anything out of him except this monotonous criminal “scrip” and his potboiler memoirs. However, it is definitely worthwhile to examine what this mysterious, many-faced hydra is about and who is behind it. Und me zinkz humbly, that the good faith and good will cooperation and collaboration between the Western and the Russian Intelligence Services, and especially the Military ones, of course, in this and the other matters is the key. Ziz little opinion appears to be nothing more but the exercise in common sense. And it should be worth it. The “silver lining”, the good thing about all this might be that now we will have very thorough and truthful investigation into all these matters by the Russian side, the results of which will be shared with their colleagues in due time, and as soon as possible. Control and the Non-proliferation of WMD-s issues, specifically the Chemical Weapons. New portable weapons in intelligence work. and the other issues are apparently, introduced also, among the others, in this “operational discussion”, if you wish to view it this way. The Demiurge enhances his control by introducing into the collective unconsciousness the “subliminal”subjects that are of interest to him. 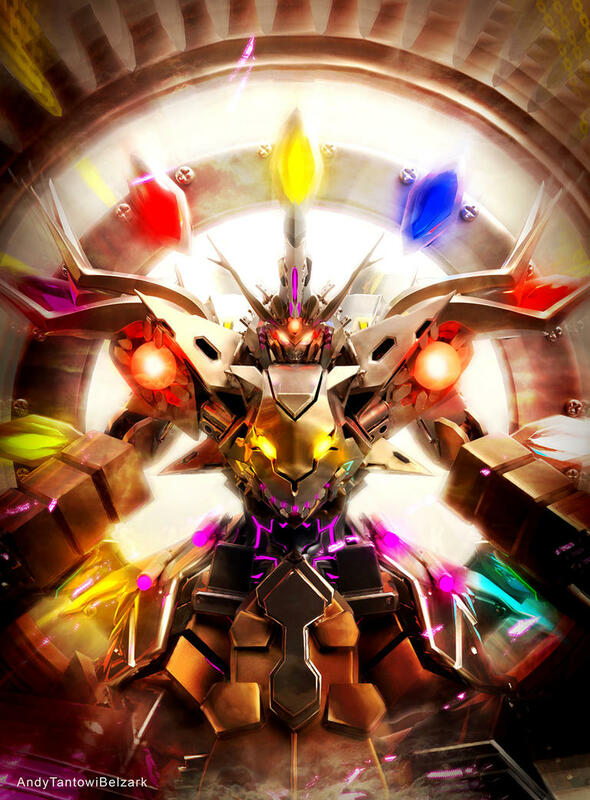 M.N. : These and other postcards might have been sent by Mr. Skripal himself, or by his true handlers, the New Abwehr. Russia’s military leaders have reportedly called its intelligence service “deeply incompetent” after Western investigators accused its agents of being behind the nerve agent poisoning in England and an attempted hack into the global chemical weapons watchdog. In the past two weeks alone, Western investigators found that agents of Russia’s military intelligence service — commonly known as the GRU — were behind the attempted assassination of former Russian spy Sergei Skripal and an attempted h ack into the global chemical weapons watchdog’s headquarters earlier this year. Both missions ultimately failed, and investigators pointed fingers at GRU agents — Russia’s leaders are reportedly not happy. The country’s defense ministry held a secret meeting on Saturday to discuss the recent reports of GRU blunders, and had some angry words to say, Russia’s MBK news site reported on Monday, citing an unnamed source. Photographs showing Alexander Petrov and Ruslan Borishov, two men accused of poisoning former spy Sergei Skripal. The GRU was described in the meeting, MBK said, as “deeply incompetent,” “infinitely careless,” “morons,” and people that “would still wear the budenovka” — a phrase that means being outdated. The budenovka was a military hat worn in the late 1910s and early 1920s, shortly after the Russian tsar was deposed. The defense leaders are also considering a “big sweep” at the GRU and ask some of its generals to leave, MBK said. MBK was founded by Mikhail Khodorkovsky, a prominent Kremlin critic. Former Russian spy Sergei Skripal buying groceries in Salisbury, England, days before he was poisoned with military-grade nerve agent. Last month the UK accused two Russian men of traveling to Salisbury, England, and poisoning Skripal and his daughter with military-grade nerve agent this March, and said they were GRU agents traveling under pseudonyms. Putin, whose government has long denied having any knowledge of the attack, initially claimed that the two men’s names — identified at the time as Alexander Petrov and Ruslan Boshirov — “mean nothing to us,” then said that they were civilians. The two men also went on national Russian TV to say that they only visited England to visit a cathedral. Investigative journalism site Bellingcat, however, has since identified Petrov as Dr. Alexander Mishkin, “a trained military doctor in the employ of the GRU,” and Boshirov as Col. Anatoliy Chepiga, a highly decorated officer with the GRU. Last week, the Netherlands also accused four Russian GRU agents of trying to launch a cyberattack on the Organisation for the Prohibition of Chemical Weapons (OPCW), the world’s chemical weapons watchdog. The OPCW was, at the time, investigating the nerve agent attack on Skripal and a reported chemical attack in Douma, Syria, where Russian jets have bombed. The men — two tech experts and two support agents — were caught red-handed and attempted to destroy some of the equipment to conceal their actions, Dutch authorities said. 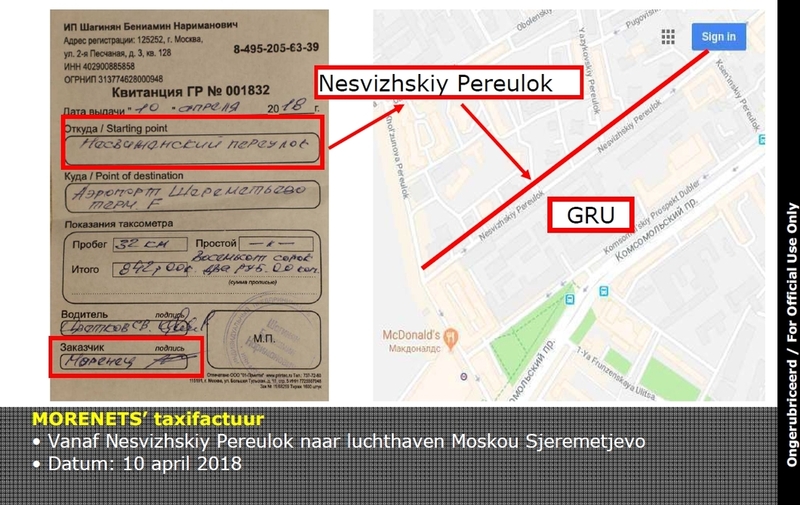 The Netherlands then determined that they were agents of the GRU after finding that one of their phones was activated near the GRU building in Moscow, and discovering a receipt for a taxi journey from a street near the GRU to the Moscow airport, the BBC reported. The headquarters of the Main Directorate of the General Staff of the Armed Forces of the Russian Federation, formerly known as the Main Intelligence Directorate (GRU), in Moscow, on October 4, 2018. Mark Urban, a British journalist who recently wrote a book about Skripal, wrote in The Times on Tuesday: “It would be surprising if this series of compromised operations did not trigger some realignment in Moscow, a further round of struggle between the spy bosses. “The mockery of the GRU for its recent upsets, both globally and on Russian social media, must have rankled. Whatever the intentions of the Salisbury operation, they cannot have included opening decorated heroes of the agency up for ridicule,” Urban added, referring to Chepiga and Mishkin. Putin’s popularity at home also hit a record low this year when he broke a 13-year-old promise not to hike the country’s national retirement age, which could mean that many Russians will miss out on a pension altogether. Is this the same “Apt 28“? Во время учебы в ВДА, Бахтина с семьей поселили в общежитии Российского государственного гуманитарного университета по адресу Кировоградская улица, 25, корп. 1. Проживал «студент» Бахтин в квартире № 10, а в квартире № 28 жил теперь уже знаменитый на весь мир один из «отравителей» Скрипалей Анатолий Чепига, он же Руслан Боширов. Чепиги и Бахтины дружили семьями и вместе отмечали праздники. Потом Бахтина отправили в посольство РФ в Нидерландах, и в качестве 2-го секретаря он усиленно искал агентурные подходы к международной следственной группе, расследующей обстоятельства гибели в 2014 году в небе над Донецкой областью малайзийского Боинга (по версии следствия, пассажирский лайнер был сбит российским комплексом «Бук», погибли 298 человек). А в последнее время полковник Бахтин координировал подготовку спецопераций по кибератакам на штаб-квартиру ОЗХО в Гааге. Тем временем, в Минобороны ходят усиленные слухи, что в середине сентября на ковер к Путину вызывали начальника Главного управления генштаба ВС РФ (ранее ГРУ) генерал-полковника Игоря Коробова, и по возвращении домой ему стало плохо. Генерал Коробов проживает с супругой в элитном жилом комплексе «Ближняя дача» на Староволынской улице, в котором получили квартиры высокопоставленные чиновники, генералы ФСБ, ФСО, МВД и Следственного комитета. «Многоуровневая система безопасности, созданная в нашем комплексе соответствует уровню VIP, обеспечивает надежную охрану жителей нашего дома и членов их семей. Собственная инфраструктура предназначенная только для жителей комплекса, избавит вас от ненужных контактов», — указано на сайте ЖК «Ближняя дача». Как известно, в апреле этого года возле штаб-квартиры ОЗХО полиция Нидерландов задержалас поличным четверых россиян, имевших при себе дипломатические паспорта на имя Олега Сотникова, Алексея Моренца, Евгения Серебрякова и Алексея Минина. При задержании Моренец пытался разбить свой телефон, а при досмотре у него была обнаружена квитанция на поездку на такси в аэропорт Шереметьево от Несвижского переулка, где расположен комплекс зданий Минобороны РФ, в том числе в/ч № 26 165, в которой он официально служит. Моренец сохранил квитанцию для отчета в бухгалтерии воинской части. Во время учебы в ВДА, Бахтина с семьей поселили в общежитии Российского государственного гуманитарного университета по адресу Кировоградская улица, 25, корп. 1. Проживал «студент» Бахтин в квартире № 10, а в квартире № 28 жилтеперь уже знаменитый на весь мир один из «отравителей» Скрипалей Анатолий Чепига, он же Руслан Боширов. Чепиги и Бахтины дружили семьями и вместе отмечали праздники. Потом Бахтина отправили в посольство РФ в Нидерландах, и в качестве 2-го секретаря он усиленно искал агентурные подходы к международной следственной группе, расследующей обстоятельства гибели в 2014 году в небе над Донецкой областью малайзийского Боинга (по версии следствия, пассажирский лайнер был сбит российским комплексом «Бук», погибли 298 человек). А в последнее время полковник Бахтин координировал подготовку спецопераций по кибератакам на штаб-квартиру ОЗХО в Гааге. Тем временем, в Минобороны ходят усиленные слухи, что в середине сентября на ковер к Путину вызывали начальника Главного управления генштаба ВС РФ (ранее ГРУ) генерал-полковника Игоря Коробова, и по возвращении домой ему стало плохо. Генерал Коробов проживает с супругой в элитном жилом комплексе «Ближняя дача» на Староволынской улице, в котором получили квартиры высокопоставленные чиновники, генералы ФСБ, ФСО, МВД и Следственного комитета. «Многоуровневая система безопасности, созданная в нашем комплексе соответствует уровню VIP, обеспечивает надежную охрану жителей нашего дома и членов их семей. Собственная инфраструктура предназначенная только для жителей комплекса, избавит вас от ненужных контактов», — указано на сайте ЖК «Ближняя дача». mikenova shared this story from oleg deripaska – Google News. He is also believed to have purchased, in 2006, one of the most prestigious homes in Washington DC. The 23,000-square-foot, seven-bedroom home — featuring Italian marble floors and a chandelier that had once hung in the Paris Opera House — was sold for $15 million. The house in New York is listed as the address for the children and ex-wife Roman Abramovich, Mr Deripaska’s friend and former business partner. According to Treasury officials, when the government freezes assets, that means anyone who does business with a sanctioned person, and sanctioned companies, could be subject to sanctions themselves. Four years ago, on the afternoon of 23 March, Russian troops with armour smashed through the walls of a Ukrainian airbase, Belbek, after a tense and bitter siege. It was the first serious military action between the two countries in Crimea not long before the territory would be annexed by the Kremlin. I was among a group of journalists at the base reporting on the attack in which, according to recent reports, Colonel Anatoliy Chepiga, one of the men accused of carrying out the novichok poisoning in Salisbury, played a key role. The operation there was one of main reasons, it is claimed, the GRU officer had received the highly prestigious “hero of Russia” award at the direct orders of Vladimir Putin. Another officer in the GRU, the Russian military intelligence service, Colonel Alexander Popov, had also received the same award for services in Crimea. Both of them were members of Russia’s Spetsnaz special forces at the time. Popov, it should be stressed, was not the second man allegedly involved in the attempted assassination of Sergei Skripal, who travelled to Britain on a passport under the name of Alexander Petrov. The role of Chepiga – who had used a passport in the name of Ruslan Boshirov for the Salisbury plot – in Crimea has been revealed by Novaya Gazeta in Moscow. The campaigning opposition newspaper, which has had a string of scoops over the years, had discovered that he and Popov had also been involved in two other operations in Crimea – the disarmament of a Ukrainian marine infantry brigade in Feodosia and the capture of the Council of Ministers building in Simferopol. We, the journalists, covered the events in Feodosia and Simferopol. But the dramatic and memorable episode in Belbek served to encapsulate what was unfolding in Crimea during those extraordinary weeks following the street protests in Kiev – protests that had driven out the pro-Moscow government of Viktor Yanukovych, and made the future of Ukraine seem to hang in balance. The conflict in Crimea was the start of the bitter battles that were to come in the east of Ukraine. The Russian presence in the peninsula was overt (unlike the Donbass) with President Putin arriving for the celebrations after a referendum declared illegal by Kiev and the West. But it was also one of the first examples of a secret, hybrid war carried out by the GRU for Moscow in which propaganda and cyberattacks were extensively used alongside open military operations. The assault by the Russian forces on Belbek, with the Spetsnaz among them in black combat fatigues and Chepiga and Popov in their ranks if reports are correct, came with bursts of automatic fire and explosions from stun grenades. It was the culmination of a standoff, highly charged and emotional, that had become a cause célèbre, with Ukrainian forces barricaded behind the gates of the base while their families kept vigil outside. Three weeks previously, my Crimean translator and I had gone to the airfield at Belbek, near Sevastopol, after hearing that it had been surrounded by Russian forces. The base was of strategic significance because it could be used to monitor the air corridor into Sevastopol, where the Russian navy’s Black Sea Fleet was based, as well having a complement of Mig-29 Fulcrum fighters, Mi-24 and Czech-made L-39 helicopter-gunships stationed there. The Ukrainian regiment based there were not hardened soldiers but a mixture of pilots and technical support for the aircraft. 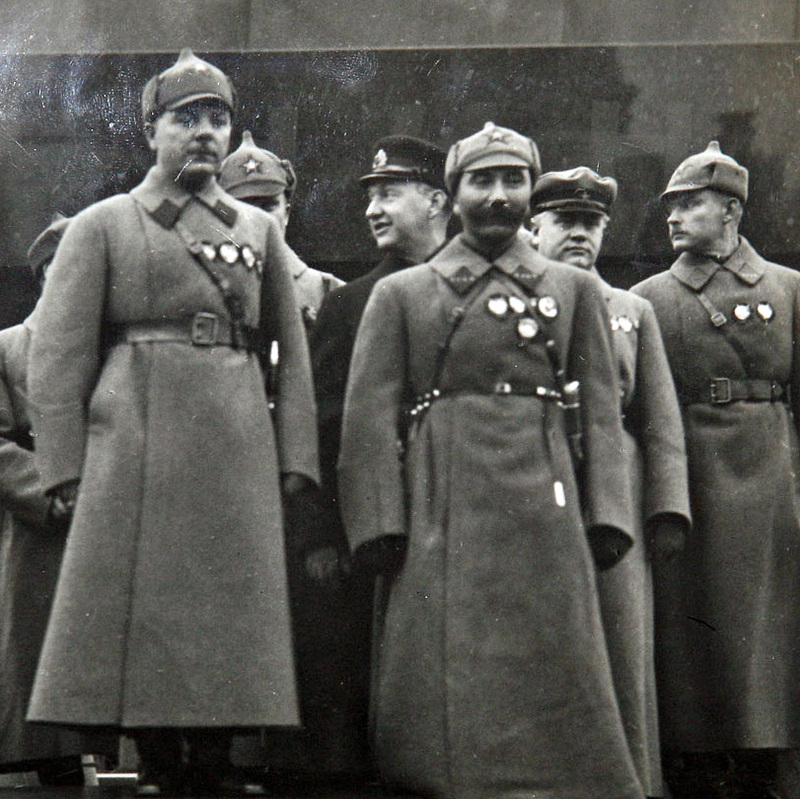 They were, however, brave, dedicated and led by a redoubtable commanding officer, Colonel Yuliy Mamchur. An ultimatum came on the day we arrived, delivered by a Russian officer, who identified himself as Lieutenant Colonel Vladimir Mirnov of the Black Sea Fleet. He warned that the Ukrainians had 24 hours to surrender or face a full-scale attack. Mamchur and his men and women had no intention of leaving. We stayed with them at the base to see what happened, but no attack materialised. But the respite did not last long: a few days later a Russian unit arrived during the night and took over a part of the base. 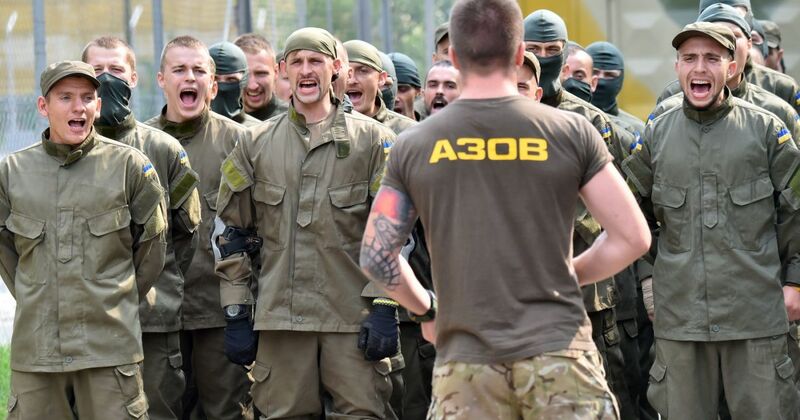 Mamchur, along with a small group of his soldiers and a few journalists, marched up the hill to meet them in the morning flying the Ukrainian and regimental flag and singing the national anthem. The path was soon blocked by Russian soldiers in balaclavas, who shouted orders to turn back and then fired shots over our heads. But no one halted and there were increasingly angry threats. At one point, as several Russians took aim with their assault rifles, an officer stepped forward, pushing aside one of the raised rifles, and beckoned Mamchur forward to talk. But then the colonel was kept waiting. The only person the Russians offered to carry out the negotiations was Yuri Balduk, a man who claimed to be a leader of the separatist “self-defence volunteers”, who turned up unshaven, in dirty jeans and trainers and unsure, at first, about what he was meant to do. It appeared to be an obvious attempt to snub and belittle. Balduk demanded that Mamchur hand over the base to him – the colonel refused. There followed an example of how dysfunctional the Ukrainian government back in Kiev was at the time. The colonel called the Ministry of Defence. It was a short conversation. “They asked me to use my own initiative, that has been the case ever since the day the Russians had arrived wanting to take over the base. We have no guidance, we can expect no help, we are really on our own here,” he explained, spreading his hands. Members of the emergency services in hazard suits fix the tent over the bench where Sergei and Yulia Skripal were found unconscious on a park bench in Salisbury in March 2018. The retired Russian colonel and former double agent for MI6 was in a critical condition in hospital for more than two months after being exposed to novichok in Salisbury. He was given refuge in the UK after being jailed in Moscow for treason. Mr Skripal came to Britain as part of a high-profile “spy swap” in 2010 in which four men were exchanged for ten Russian “sleeper agents” in the US. In this image he is speaking to his lawyer from behind bars in Moscow in 2006. 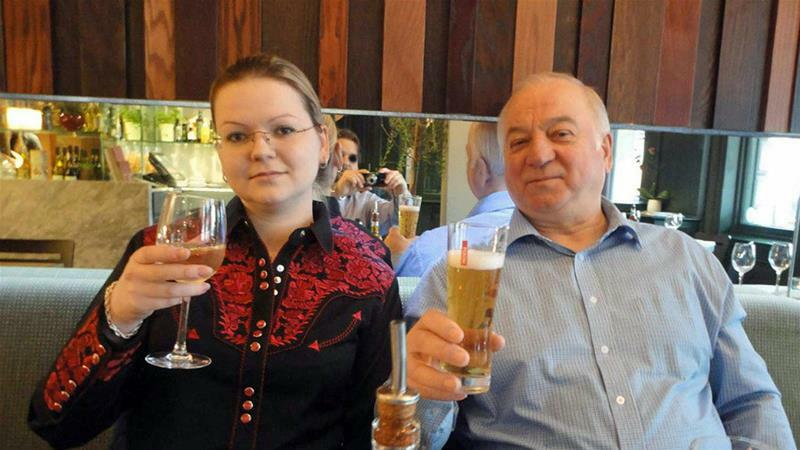 Yulia Skripal was struck down by a novichok poison alongside her father Sergei. A police officer stands guard outside a branch of the Italian chain restaurant Zizzi where the pair dined at before falling ill. It was boarded off whilst investigators worked on the building and later found traces of the chemical weapon within it. Large areas of central Salisbury were cordoned off by police following the discovery of the Skripals. Traces of nerve agent were also found in The Mill pub. Detective Sergeant Nick Bailey, rushed to the aid of the Russian ex-spy and his daughter who were targeted with a nerve agent. He was hospitalized after aiding them and didn’t leave until three weeks after the attack. Police believe they were poisoned at home, and detectives found the highest concentration of novichok on the front door of Mr Skripal’s house. Britain’s Prime Minister Theresa May spokes with Wiltshire Police’s Chief Constable Kier Pritchard near where the Skripal’s were found. Britain expelled 23 Russian diplomats over the nerve agent poisoning and suspended high-level contacts, including for the World Cup on March 14. Theresa May told parliament that Russia had failed to respond to her demand for an explanation on how a Soviet-designed chemical, Novichok, was used in Salisbury. Sergei Skripal days before he was exposed to Novichok, that has left him fighting for life. British soldiers were deployed soon after the attack to help a counter-terrorism investigation into the nerve agent attack. One of the places they were asked to help out with was Skripal’s home and it’s surrounding. They were asked to remove a vehicle connected to the agent attack in Salisbury, from a residential street in Gillingham. Personnel in protective coveralls and breathing equipment cover an ambulance with a tarpaulin at the Salisbury District Hospital. The investigation extended to the grave of Sergei Skripal’s son Alexander in London Road cemetery. The Counter Terrorism Policing Network requested assistance from the military to remove a number of vehicles and objects from Salisbury. Home Secretary Amber Rudd visited the scene of the nerve agent attack at the Maltings shopping centre on 9 March. Yulia Skripal, speaking for the first time, said she felt lucky to have survived the nerve agent attack in Salisbury which left her fighting for life. Ms Skripal said her life had been “turned upside down” by the assassination attempt. But the Russian national added she hoped to return to her homeland one day, despite the Kremlin being blamed for the attack. Ten Ukrainians were allowed to go into the control tower and the hangars to check the aircraft. The Russian stationed snipers drove up an armoured personnel carrier, and put in perimeter defences. The Ukrainians decided to have a game of football, inviting the Russians to join in, but they refused to play. After a while the Russians agreed to stay at the part of the base where they were, the Ukrainians returned to their side with the headquarters building. The standoff continued. In our travels around Crimea we heard the Russians were getting increasingly annoyed at the publicity Manchur and his men were attracting. Other Ukrainian bases were following their examples of defiance and Moscow wanted the matter brought to an end. The time for games was coming to a close. We could see more Russian troops arriving in the area, including Spetsnaz setting up camp on a nearby field one Friday. They were not talkative, but not particularly hostile either. The advice was to stay away from the base. A couple of them spoke surprisingly good English. Mamchur felt an attack was imminent. He ordered his troops to lock away their weapons; attempts at armed resistance would fly against the odds facing them – but there would be no surrender. Waiting for the attack on that Saturday was a strange experience. Under an azure blue sky and apple blossom in the air two young lieutenants, Galina Vladimirova Volosyanick and Ivan Ivanovich Benera, got married. Local champagne and lemonade, figs and nuts, chocolates and cakes, had been laid out on a long trestle table covered with a bright golden plastic cover. Toasts were drunk, troops clapped and whistled as the bride and groom kissed each other. The mood soon change, a vocal and aggressive pro-Russian crowd had turned up outside the base demanding it be handed over. Members of the “self-defence volunteer” group joined them and tried to destroy a video camera mounted on the gate, first shooting at it and then pulling it down with ropes. The Ukrainian forces inside were getting increasingly worried by reports that some of their relatives had been harassed, their homes broken into. 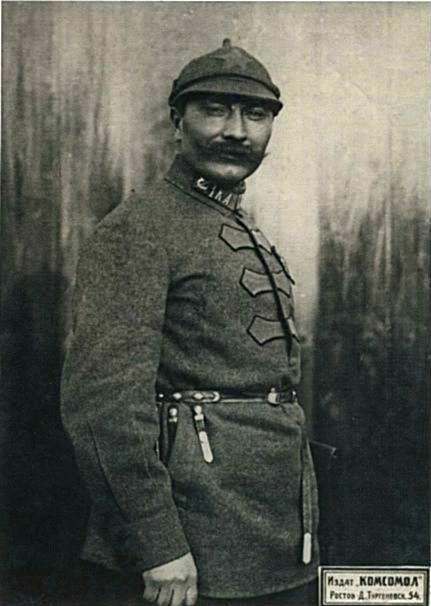 Posters had been put up with photographs of Mamchur and other officers, calling them traitors to Russia. The commander’s wife, Larissa, who had come into the base earlier, told me she had seen posters in Sevastopol demanding that her husband be executed for his supposed treachery. She was deeply worried about what may happen. The attack came at 4.48pm with three armoured personnel carriers (APCs) punching a hole through the perimeter wall of the base and crashing in followed by soldiers. A few of the Ukrainians were injured, none seriously. Mamchur then told his men: “You have done all that honour demands. You should be proud of yourselves, I am proud of you.” He had been summoned to a meeting with senior Russian officers and he would, if allowed, come back and tell them what had been agreed. The journalists were told by the Russians to leave the base. We all shook Mamchur’s hand and wished him luck. There was, we felt, something heroic in his obstinate yet calm refusal to give in against overwhelming odds. I went back to Belbek the next day. The Russian flag was flying over the base. Things were calm and peaceful after all that had happened the day before. A group of Russian soldiers sat in the sunshine, on the football field smoking and drinking coffee. I met Mamchur again a couple of years later in Kiev. He was an MP, returning to Ukraine after refusing an offer to join the Russian military. We sat in a park reminiscing about those days in Belbek. As for the Colonels Chepiga and Popov, could we have met them unknowingly at the time? I called and asked two Crimean translators I had worked with at the time. One, like me, simply did not know. The other thought he recognised him from the photographs which have appeared at the base over the past week and several times on the afternoon of the attack. “Perhaps he came to Crimea as a tourist and just got caught up in it all,” he laughed. Фа́нтик (от слова «фант») — народное название обертки, которая служит для заворачивания конфет и иной кондитерской продукции (карамель, ирис, жевательная резинка). Материалом служит бумага, полимер (обычно фольгированный), фольга. Кроме основного предназначения в качестве упаковки, является также объектом коллекционирования и для игры в «фантики», которая была популярна среди детей в дореволюционное и советское время. Pipl ne habayet! They don’t buy it! These nicely printed handwritten letters look more like the exercise in calligraphy than the hand movements of the half-literate Moscow cab driver who is always in a hurry. – M.N. Shortly after the end of World War I, Germany’s General Staff enthusiastically pursued a recapture of their preeminent position in chemical warfare. In 1923, Hans von Seeckt pointed the way, by suggesting that German poison gas research move in the direction of delivery by aircraft in support of mobile warfare. Also in 1923, at the behest of the German army, poison gas expert Dr. Hugo Stoltzenbergnegotiated with the USSR to build a huge chemical weapons plant at Trotsk, on the Volga river. Chemical warfare was revolutionized by Nazi Germany‘s discovery of the nerve agents tabun (in 1937) and sarin (in 1939) by Gerhard Schrader, a chemist of IG Farben. IG Farben was Germany’s premier poison gas manufacturer during World War II, so the weaponization of these agents cannot be considered accidental. Both were turned over to the German Army Weapons Office prior to the outbreak of the war. The nerve agent soman was later discovered by Nobel Prize laureate Richard Kuhn and his collaborator Konrad Henkel at the Kaiser Wilhelm Institute for Medical Research in Heidelberg in spring 1944.The Germans developed and manufactured large quantities of several agents, but chemical warfare was not extensively used by either side. Chemical troops were set up (in Germany since 1934) and delivery technology was actively developed. SALISBURY — Autumn Jubilee kicked off its 39th year with balmy temperatures and plenty of shade from overcast skies. The annual festival, held at Dan Nicholas Park, generally attracts about 60,000 people during its two-day run; but Events Coordinator Andrea Baucom said that, with the weather, she’s anticipating more. “This year we’re expecting huge crowds,” she said. Attendance has been poor the last three years due to weather, and the festival was cancelled in 2015 due to heavy rains. This year, however, Baucom and other organizers are hoping for a comeback. The event features live music, entertainment, good food and handmade crafts. Selling handmade items has been a prominent feature of Autumn Jubilee since day one. “It kind of individualizes every item,” Baucom said. This year, the festival showcases 130 vendors, along with music by Heart Breaker, Too Much Sylvia, Darrel Harwood and Mailvis. The Kid’s Zone features Dakota and Friends: A live dinosaur experience. It’s a good mix, Baucom said. “This year I think we’ve got the best variety we’ve ever had,” she said. But Autumn Jubilee is more than just a craft fair — it’s a tradition for many Rowan County residents. Wanda Kluttz said she’s been to just about every Jubilee. “I’m just so glad they have this for the community,” she said. Dolores Russell and her family meet each year at Jubilee, taking the time as a sort of reunion. “It’s just a thing you go to,” she said of the festival. But it was definitely worth the trip. Russell said she enjoyed seeing what people made and what they came up with. “It’s just cute to see the unique things that they make,” she said. Carol Clifford and her husband moved to Rowan County two and a half years ago. In that time, they’ve fallen in love with Dan Nicholas Park and Autumn Jubilee. “We’ve come every year since,” Clifford said. According to Baucom, there’s something for everyone at Autumn Jubilee — which is one reason it’s flourished for so long in the community. “It is a tradition,” she said. Jubilee will open today at 10 a.m. and run until 6 p.m. Parking and admission are free. Pets are not allowed at Autumn Jubilee. For more information, call 704-216-7803. Autumn Jubilee is sponsored by Cheerwine, Bojangles, Novant Health, Bath Fitter, Atrium Health, Carolina Home Remodeling and Gerry Wood Auto Group. Contact reporter Rebecca Rider at 704-797-4264. Об этом в интервью Українським Новинам сказал руководитель аппарата СБУ Игорь Гуськов. Он отметил, что ЧВК “Вагнера” является подразделением Главного управления Генерального штаба Министерства обороны РФ, а ФСБ обязан гарантировать секретность информации о персональном составе подразделения. “Очень специфически в отношении тайны ЧВК “Вагнера” поступает ФСБ России. Создается мнение, что она спустя рукава к этому относится, либо где-то сознательно недорабатывает…Почему это делается? Возможно, из-за конкуренции между 2 спецслужбами, возможно, за-за известного российского разгильдяйства”, – сказал Гуськов. Он также намекнул, что СБУ получает информацию от ФСБ. “Поймите нас правильно, мы не можем выдавать свои источники в ФСБ РФ. Я думаю, что доказательства в отношении бойцов “Вагнера” более чем свидетельствуют, что СБУ владеет этой информацией”, – подчеркнул глава аппарата. Кроме того, он сообщил, что СБУ уже установила персональные данные 58 наемников ЧВК, погибших 7 февраля 2018 года в результате боя с американскими военными в городе Дейр-эз-Зор провинции Хишам в Сирии. Всего, по данным спецслужбы, в этом бою погибло 82 “вагнеровца”. Как сообщали Українськi Новини, в июле Служба безопасности Украины заявила о гибели 80 и ранении 100 наемников российской частной военной компании “Вагнер” в ходе боя с американскими военными около города Хишам в Сирии 7 февраля. Полный текст интервью с главой аппарта СБУ Игорем Гуськовым читайте 8 октября на сайте ukranews.com.